Founded in 2004, R2 has traditionally featured only Rice student work. 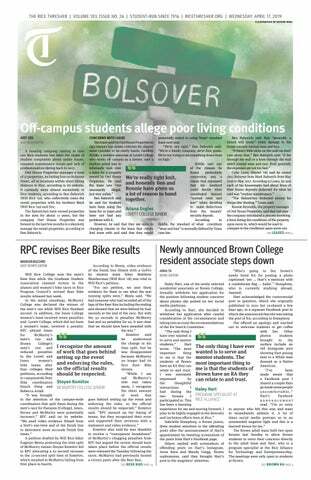 The decision to allow submissions from creatives other than Rice students came from its current editors-in-chief, Kristen Hickey, Ellie Mix and Lily Wulfemeyer. Mix, a Martel College junior, said that the editors-in-chief were initially unsure about the response of the Houston community. However, to their surprise, they received several hundred submissions. “We’ve more than doubled what’s coming in,” Wulfemeyer, a Brown College junior, said. Mix said that the expansion is part of a continuous effort to make the magazine better. In comparison, Gulf Coast, a “journal of literature, art and critical writing” in collaboration with the University of Houston serves the Houston community but does not require that submissions come exclusively from Houston. Expanding the submission pool also helps to diversify the content of the art in the magazine, according to Hickey and Wulfemeyer. Wulfemeyer talked about how the process of curating pieces for the magazine. They said that the editors-in-chief consider which voices they will include and where they are positioned in the magazine so that the art resonates with readers. “R2 is trying to go beyond creating ‘a Rice voice’ to “create a dialogue between voices,” Wulfemeyer said. This expansion comes with added challenges, such as deciding how to fully incorporate Houston voices into the magazine while retaining a strong space for Rice students. “This year, in a lot of regards, is an experiment to see what works,” Mix said. According to Mix, R2’s accessibility is a very important aspect. Unlike other magazines, there is no fee for submitting work, and hard copies of the literary magazine are free to all Rice students. “The more people that can read Rice work the better, and the more Rice students that can read Houston work the better,” Mix said. This article has been edited to reflect accurate pronouns and to include R2’s link for further reference.